Ah, the pain in that moment when you realize “what’s done is done!” and there’s nothing you can do to change it. Whatever it is, you just have to live with it! It just stinks! We had one of those moments a few years ago when Sarah was cutting Jonathan’s hair. Normally, this was my job, but we were out of town and Jonathan needed a buzz cut for baseball. She was buzzing right along, almost done. Trimming up the edges without the guard she noticed a section that was missed while she was using a guard. She quickly swings that unguarded clipper to the few strands of hair that were too long and proceeds to buzz a bare canal right through his beautiful buzz cut! Oh well, the baseball cap made it a little more forgiving but otherwise everyone thought he was a trend setter that no one was willing to follow. At least he had a good story to tell! 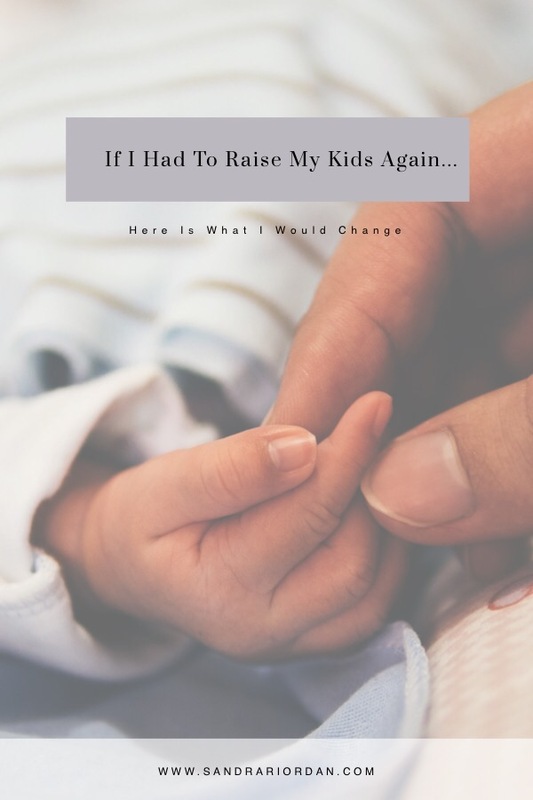 Looking back over the past thirty years of raising our kids there are plenty of things I would do differently if I had it to do over again, but one thing is for sure. I would have lived out my faith in front of my kids much more diligently and graciously than I did. Instead of criticism, I would have graced our home with more words of praise and affirmation. Instead of being selfish and impatient with the inconveniences that inevitably seemed to dump on our day…every day, I would have seasoned those moments with grace and verbally reminded myself and my kids of God’s sovereign rule over our lives. Instead of standing by my rights, I would have laid them down the way Jesus did for me and spoken His name more frequently. I would have been a conduit of His grace, His love, His wisdom, His righteousness flowing ever so freely through me to my family. Too bad some moments are not written in pencil. I would erase and rewrite them. There aren’t many things in this life more painful than the harsh reality of “no do-overs.” Thank heavens for God’s amazing grace! My kids are trophies of it! I’ve read and heard over and over through the years the verse that says, “You shall teach them diligently to your sons and shall talk of them when you sit in your house and when you walk by the way and when you lie down and when you rise up. (Deuteronomy 6:7) From a practical standpoint I thought we had it covered. We busied ourselves doing many things to guide our children towards spiritual things. We took them to church Sunday morning, and Wednesday night; we had devotions with them; we taught them bible verses; we sang songs of the faith; we home schooled; we sent some of them to christian schools; they went to christian camps in the summer, etc. etc. etc. But all the doing we did I think had a way of covering up what was lacking. The trials, conflicts, temptations, disappointments, stresses, decisions. These things were the “proof in the pudding” and they were sometimes, but not always, handled in a way that communicated “We are a family that trusts God!” Don’t get me wrong, we didn’t live like heathens at home and put on a happy Christian face for the world outside (however, we had our moments!). I have tried to imagine all the busy “Bible” things we did being stripped away. Would my example alone have been enough to lead my children to faith in God? 1 Peter 3:1 states that a husband can be won to faith by the behavior of his wife. This being true for a grown man, how much more for the tender heart of a child? It is easy in our society to become very do oriented because everything in life is achieved by working hard: education, jobs, financial stability, sports, music, etc. So then we take this orientation and transfer it to getting God in our kids. We prod our children towards knowing and finding God with various activities as if salvation and the desire for spiritual things is something we can PUT on our children. We cannot PUT our faith on our children any more than we can put a tomato on a tomato plant. The more doing we do the more satisfied we become that “we’ve got it covered” and the most important aspect of leading our children to faith in God is left unchecked, the careful attention given to our own walk with God and the day by day walking and talking of it. Our faith being lived out in front of our kids is the sunlight, rain and nutrients they need to nurture in them a hunger and thirst for God that will one day bare fruit. A child can be led to faith in God by our example alone. Deuteronomy 6:7 has two imperatives. Teach and talk. Clearly we are commanded to teach the word of God to our children. So, time set aside each day to read and study God’s word as a family is mandated for us as parents.The rest of the verse instructs us to talk about it and apply what we’ve learned as we go about doing the daily stuff of life. – when you rise up. Putting into practice what we learn is what gives weight and integrity to the truths we teach our children from God’s word. If all we do is read God’s word and it never seems to make a difference in our behavior the message is clear. “God’s word doesn’t apply to us.” The word of God is something to be freely talked about and lived out moment by moment as we go about doing life with our children every day. It should come as natural to us as breathing. Habits formed and kept are the turning points for making a difference in whatever challenges we face. What kind of challenges have you and your family faced lately? Look up verses by topic that would apply to that challenge and commit to reading them and applying them throughout the week. Purchase a devotional book for you and your family to use at the dinner or breakfast table. Mom and Dad, take to heart the truths that you are learning as a family and pray together, committing to one another and to God that you will live out those truths when you sit in your home, when you walk by the way, when you lie down, and when you rise up. Start today; it will make a difference. Well saidx Sandra. I needed to read that. And I miss you. As always, you have shared such excellent wisdom! I, too, wish I could do it all over again. As a single, working mom, so many things were left undone in my home and in raising my two children. Thankfully, God’s grace covers all!